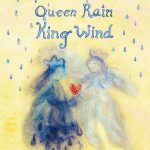 Storybooks as tools for social and environmental sustainability, weaving healthy connections to self, others and nature. Find inspiration for practice in family and community. Turn gardening into playground and multi-purpose sustainable design. Find our the magic formula to repair any relationships. Solve conflicts creatively while celebrating diversity. Turn food into art play through kitchen alchemy, the healthy way. Water seeds of joy both in the heart and the garden. Spend quality time together practicing appreciation as a family. The stories aim to get head, heart and hands involved - a model for transformative learning from sustainable education. They invite to daily play and creativity as a family and community. Want to make sustainable gardening an exciting and fun adventure? 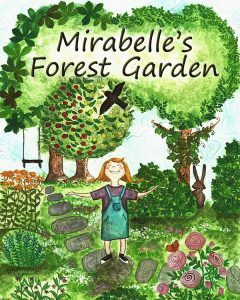 Join Mirabelle in her planning of a forest garden where she gathers support from an entire community for manifesting an earth-friendly dream. Read full description and editorial reviews here. Have a hard time convincing your children of the benefits of whole foods? Want to go beyond struggle to explore creative solutions to conflict? 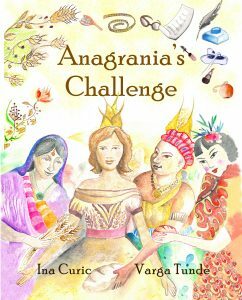 Ask for help from Anagrania, a golden grain princess that gains inner clarity and uses creativity to solve conflict in a healthy way. Looking for a connection ritual to keep harmony levels up in the family? Learn how to water seeds of joy both in the heart and the garden. Want to find out the four most important words to repair any relationship? It seems too simple. But it is. 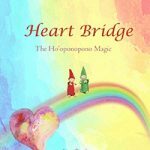 Get inspired by the rainbow elves' magic formula application: the ho'oponopono practice. 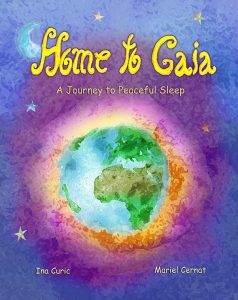 Want a bed time ritual that will smooth the transition to sleep, anchoring children to peace and love inside? Join more of the Rainbow Elves adventures, this time on the trip towards the center of the Earth. Read full description & editorial reviews here.